Benecko is one of the highest-located recreation resorts in the Giant Mountains. Černý Důl offers a full-scale list of sports events in every season. Dolní Dvůr extends about twenty-three km northwest of Trutnov and five kilometers northeast of the city Vrchlabí. Officially living in the land of the small village of around 250 inhabitants. Harrachov is one of the best-known tourist and winter sport centers. It is famous for the production of the local glassworks called Novosad a syn. Horní Branná lies about eighteen miles east of Semil and five kilometers east of the town Jilemnice. Vrchlabí is divided into two parts, namely, they are: Vrchlabí and Valteřice. The village is approximately 18 km from the Polish border. Horní Maršov is asked about fourteen miles northwest of Trutnov. Upa River flows through here. Upper Maršov is divided into six parts, namely they are: Lower Albeřice, Lysečiny Lower, Upper Albeřice, Upper Lysečiny, Upper Marsov and Dark Mine. The village is approximately 4 km from the Polish border. Misecky were established in 1642 as a settlement of loggers and miners. This town was founded in the mid-13th century and was encircled by a stone wall and a moat filled with water. Jablonec nad Jizerou is not usually included among the best-known centers, yet the favorable position of its skiing slopes situated in the north ensure good skiing conditions even in late winter months. Janské Lázně, a winter sports center (snowboarding, Alpine skiing and cross country skiing) is located in the eastern part of the Giant Mountains, in the valley of the Jansky Brook on the southern slope of Black Mountain (Černa hora – 1299 m above sea level). Jilemnice is one of the best-known towns in the Western Giant Mountains, boasting about its cultural and historical traditions that are further advanced by its locals by organizing renowned fairs. Malá Úpa, The mountain center offers ski rentals, ski service shops and skiing schools. 2,000 beds of varying price levels, restaurants, wine bars and cafes are always ready to welcome every visitor. Contemporary Mladé Buky offers a true diversity of sport activities. In the year 2000, a newly built 9-hole golf course was opened here. Paseky nad Jizerou – a mountain recreation resort, also known as a region of violinmakers and out-of-the-way patriots from our historical times. 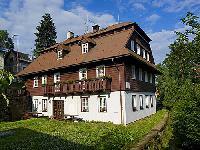 Pec pod Sněžkou is one of favorite mountain recreation resorts in the Giant Mountains, Eastern Bohemia. WE WELCOME YOU to visit our villages website. Our hamlet is one of the oldest settlements situated in the west KRKONOSE (the GIANT MOUNTAINS), the highest Czech mountains. Rejdice is located on the border of Jizera and Giant Mountains. Rokytnice nad Jizerou is a center of winter sports with the longest chair lift in the Czech Republic. Roudnice lies on the ridge between the valley and Jizerky Roudnice stream. Roudnice is the smallest of all three parts of the village. Passes through the town before a very important road that connects with Jilemnice Rokytnice Jizerou over where the glass works (which is why it was called "Metallurgical Way"). 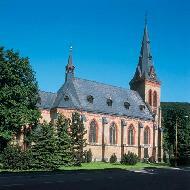 Rudnik is located about two miles west of Trutnov and eleven kilometers southeast of Vrchlabí. Rudnik is divided into three parts, namely they are: Arnultovice, Javorník and Rudnik. The village is approximately 14 km from the Polish border. The emergence of community Sklenařice falls into the second half of the 14th century, until 600 years ago, when it began systematic settlement of border mountains. In former times the local boundary forest protected as a natural rampart of the country and could not be Rubano. Gradually, however, this area was originally a royal estate, was in possession of feudal lords who started it economically exploited. The region belonged Markvartic, Lords of Wallenstein. Špindlerův Mlýn is the biggest and best known winter resort in the Czech Republic, that is sought after for the wide choice of ski lifts, an aqua park, restaurants, accommodation in hotels, boarding houses, suites, lodges, etc. Mountain village Strazne in the Giant Moutains is situated 800 m above sea level. Svoboda nad Úpou became a starting point to the entire area of the Eastern Giant Mountains – Pec pod Sněžkou, Velká and Malá Úpa, and Janské Lázně. The documented existence of Trutnov dates back to 1260. The town runs along the Úpa River valley. Velká Úpa, a town in the immediate vicinity of Pec pod Sněžkou, is a well-known mountain recreation center with a varied network of year-round operated facilities and services. Vítkovice, this is another famous mountain resort. It is strongly recommended to those who long for quite getaways in summer or winter. Vrchlabí is considered a gate to the Giant Mountains. It is the seat of the Administration Office of KRNAP – Giant Mountains National Park. Vysoké nad Jizerou is situated at the foothills of the Větrov Hill. It is not an overstatement to say that the sun rises over the Giant Mountains right above the town of Žacléř, as it is the easternmost place of and an eastern gate to the highest mountain area of the Czech Republic.